A Word from Jesus: Beware of Counterfeit Causes! There is a cause worth standing up for. There is a cause worth marching for. It is even a cause worth dying for – and I’ve already done it. It is My Father’s cause! It is His passion and constant longing to bring absolute freedom, joy, and liberty to those chained to their past and the voices that haunt them. It is the ache of His heart to demonstrate the perfection of Love which is not of this world. It cannot be compared to that which is familiar to man. It is Pure, Holy, and has the power to forever break the chains of every curse, conflict, and counterfeit. Yet, even as man longs for this kind of freedom, the Adversary seeks to sabotage the Father’s freedom. Those who have not known My Father’s love are looking for recompense. Many have been lost and wandering due to wounds and rejections of the past and it has opened the door for the enemy to poison their souls. Without forgiveness, there is no freedom and the Adversary is now taking hold of those who refuse to yield their brokenness to the Father. 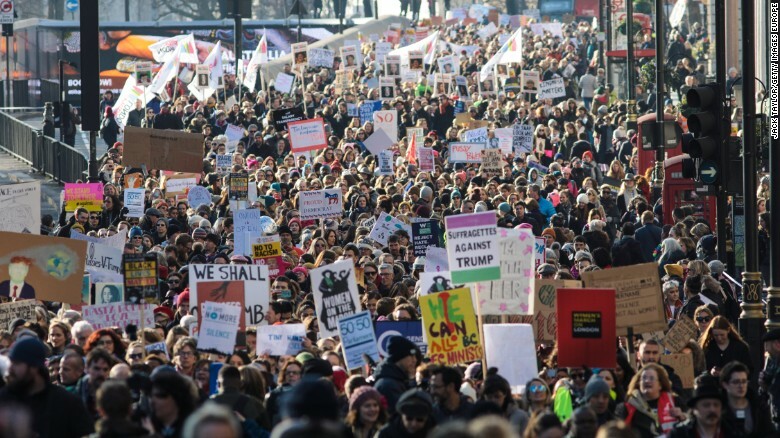 Rather than marching for a true cause that will bring freedom, the current tide of uprising is being fed by a root of bitterness. It is the seed of bitterness and unforgiveness that is defiling many and fueling the hatred and demonic vitriol (Hebrews 12:15-17). Those who lead this counterfeit charge have been hooked by their hatred. They have been blinded by their pain, and they are leading many astray. I call upon my brothers and sisters to recognize the difference of these causes and join My Father’s cause and reject the counterfeit. There are many who are following these Pied Pipers of destruction and do not recognize the root of this demonic bitterness. Many are looking for answers. Many are looking for justice, but there will be no justice without forgiveness and there will be no lasting forgiveness without righteousness. There can be no mixture of the holy and the profane (1 Corinthians 10:21; 2 Timothy 3:1-5). There can be no compromise with the Truth. There can be no joining with those whose hearts are set on revenge and retaliation. It is not Our way. I came to the earth to set these captives free, but it can only come through the cross. I demonstrated My Father’s love and forgiveness to all, but We are holy. Holiness is the essence of heaven’s perfect Love. It is the deepest, truest, and most powerful weapon against the enemy. And it cannot be manipulated or compromised. My Father is calling for a righteous standard to yet be raised upon the earth! It is you who know His cause, have encountered this Love, and hold to the standard of His holiness that have the power to displace this counterfeit! He calls for those who have not bowed their knee to the spirit of the age and the worship of Baal. This Baal worship is still very much alive through the worship of man and idolatry of self. Even so, it is the power of Holy Love that will shatter the lies and break the stronghold of this principality. I came in order to give YOU these keys of spiritual authority and the anointing to break the yoke. You are the Burning Ones, the Fiery Ones, those who have been SET APART for THIS time! My Father has declared that He will show forth the holiness of His great Name, which has been profaned among the nations, when He is proved holy THROUGH YOU BEFORE THEIR EYES (Ezekiel 36:21)! All of creation is crying out for this breakthrough and it is you who can release it. Do not allow the counterfeit to confuse you or lead you to retaliate! I came to show My love by calling you higher, not lower. I came to empower you to rise above your flesh and the temptation to seek revenge. I came to set you free from yourself and the trap of being a victim. Do not allow the enemy of your soul to appeal to your losses and defeats. I have given you the victor’s crown. You will find your freedom when you allow the cross to heal your wounds, purify your heart, and anoint you as a champion. Beware of the counterfeit causes! Many will continue to rise up in rebellion, but it is the sons and daughters of true righteousness who carry the banner of a Holy God and who have heaven’s authority and backing. Do not limit the miraculous power of Holiness, Truth, and Pure Love to break these chains. The power of the cross will soon be made manifest and the Father’s glory will heal and restore what no counterfeit can. 3 Comments on A Word from Jesus: Beware of Counterfeit Causes! Thank you Wanda! How timely! Thank you for this timely word! So very eloquently written for understanding.